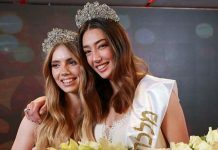 Maya Reaidy was crowned Miss Lebanon 2018 in glittering ceremony held September 30 at the Forum de Beyrouth in Beirut. 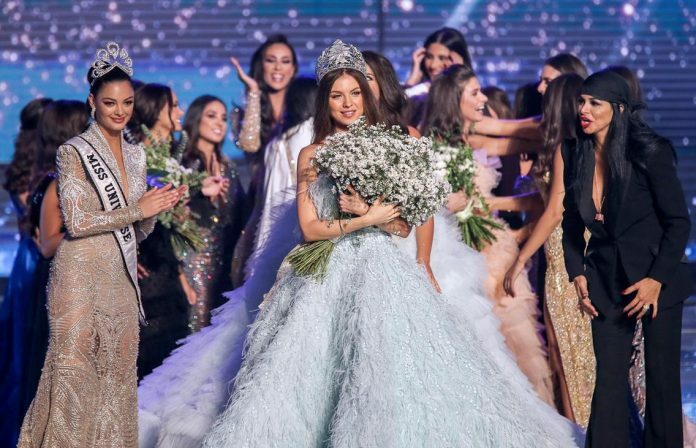 The 22-year-old pharmacy student from Lebanese American University edged out 20 other candidates for the crown and the right to represent Lebanon at the 2018 Miss Universe competition in Bangkok, Thailand in December. Fans have taken to social media to point out Reaidy’s striking resemblance to Georgina Rizk, Lebanon’s only Miss Universe winner (1971). 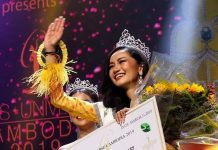 Meanwhile, Mira Toufaily placed first runner-up and will represent the country at the 2018 Miss World finals in December in Sanya, China. She is 26 years old and is taking up interior design. 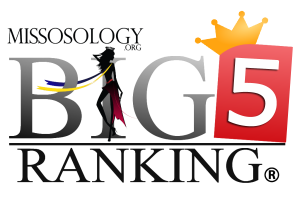 The rest of the Top 5 were Yara Abou Monsef, Vanessa Yazbeck and Tatiana Saroufim. 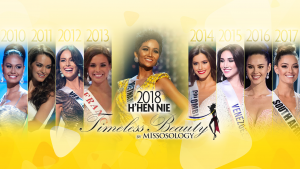 Reigning Miss Universe Demi-Leigh Nel-Peters sat as one of the judges.